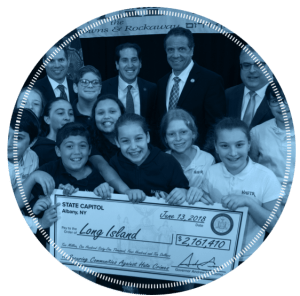 Teach Coalition is a project of the Orthodox Union Advocacy Center - a proven leader with a record of success in proposing and passing legislation that benefits our community in a multitude of ways. We advocate to State and Federal lawmakers which have led to greater support for Jewish causes, schools and synagogues. To obtain the maximum funding for security related expenses for all nonpublic schools and synagogues. We've already obtained millions of dollars in federal and state security funding. With your continued support, we will achieve the goal of helping to protect our schools and institutions from hate and terrorism.